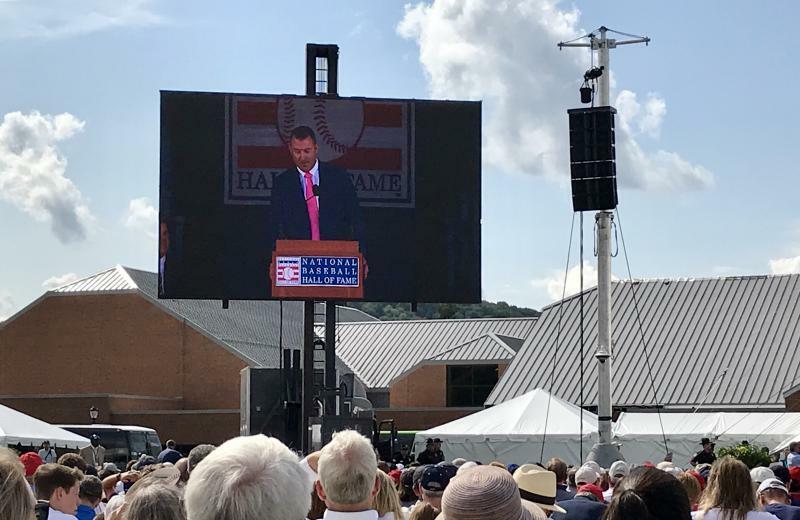 Former Indians Great Jim Thome gives his speech at the Baseball Hall of Fame in Cooperstown Saturday. 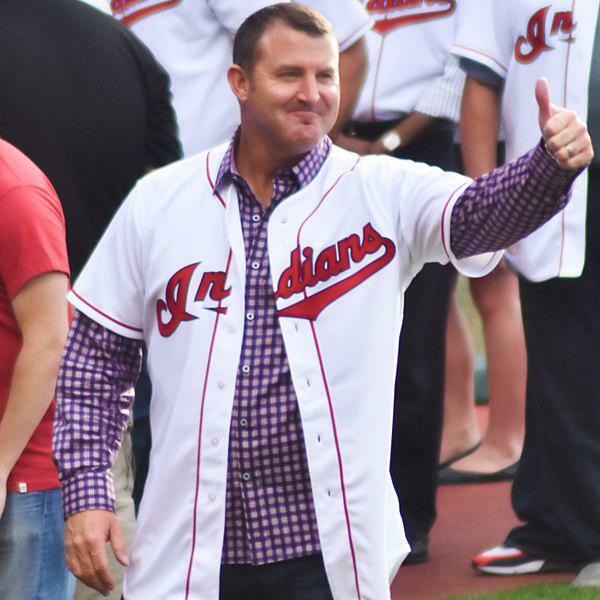 Jim Thome has become the first home-grown Cleveland Indians player since Larry Doby to be inducted into the National Baseball Hall of Fame. It had been quite the moment for Thome — and for Northeast Ohio. Jim Thome’s Hall of Fame exhibit includes the pockmarked aluminum bat he hit stones with as a kid in Peoria, Ill. The glove he wore at third base in the 1995 World Series—a first appearance for Cleveland in more than 40 years. The shoes he wore throughout the Indians 1997 season, when he hit 40 of his 612 home runs. But for fans like Katie Reed, the reason for the trip to Cooperstown transcends the stats. “He was guileless. He was a really friendly guy and he worked really hard," Reed said. During his 22 -year career, Thome won baseball’s top good-guy awards: the ones named for men like Roberto Clemente and Lou Gehrig. He was named one of the friendliest guys in the game, second only to Sean Casey. In fact, some baseball writers questioned whether he was too much of a good guy — and too little of a self-promoter — to get into the Hall. But he made it on a first-ballot. And the man whose grin hasn’t changed since he was a gangly kid playing AA ball in Canton says being a good guy matters. 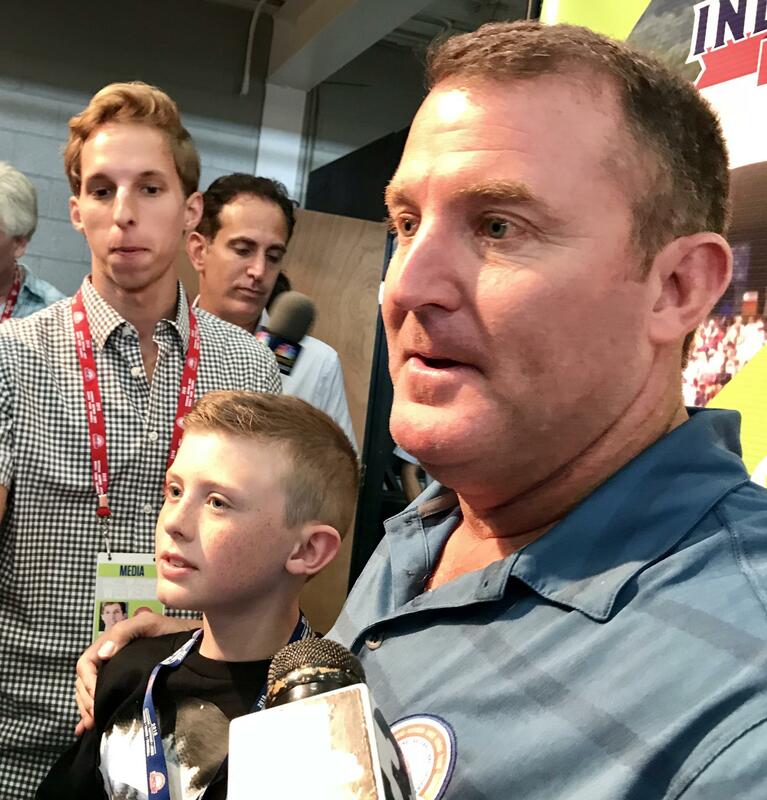 Thome was as much a proud father and son as a proud ballplayer this weekend. 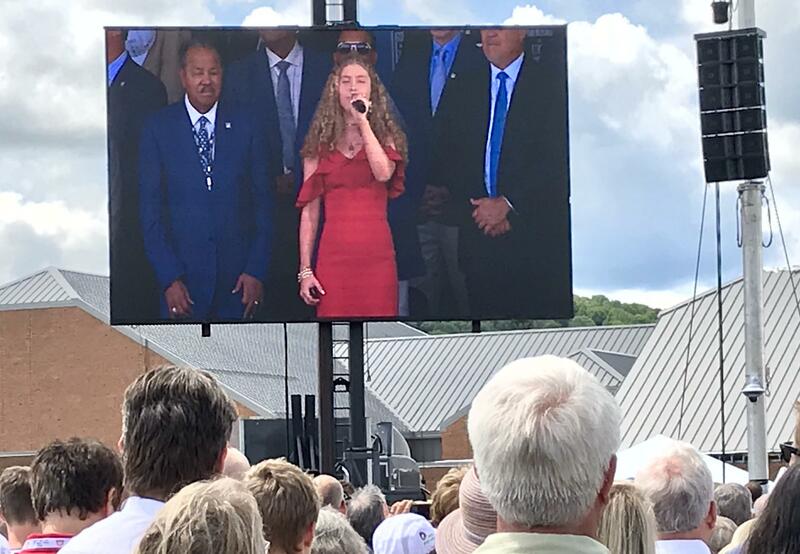 His 15-year-old daughter, Lila, sang the national anthem. Lila Thome, Jim Thome's daughter sings the National Anthem. “I’m a little biased because she’s my daughter, but her voice is just beautiful," Thome said. He kept his arm around the shoulder of his 10-year-old son, Landon, at the pre-induction press conference. And the pink tie he wore during the ceremony honored his beloved mother, Joyce, who died of lung cancer in 2005. Coming home meant returning to Illinois to play for the Chicago White Sox, Cleveland’s Central Division rivals. In between was Philadelphia and he ended up playing for a total of a half-dozen teams. But his longest stint was in Cleveland, which picked him in the long-shot 13th round in 1989. He arrived with very little hype and a lot of very raw talent. Thome says he was lucky. Cleveland was just beginning an era of investing in young talent and had plenty of patience. And he says he learned important lessons in humility, some from the long-suffering Indians fans in the cavernous old Municipal stadium. Jim Thome with his son Landon. But his glove was never going to get him to Cooperstown. His bat did. He finished eighth on the all-time homerun list, including a Major League record 13 walk-off homers. Thome credits that part of his game in part to Charlie Manuel, the Indians hitting coach and manager. “We could talk forever about what he meant to me," Thome said. "As much as my family, my mom and dad, from a baseball end, I think he made as big an impact for me as anyone." Thome’s offensive stats piled up during the heady days of steroid driven power-numbers. But as Cleveland fan Phil Bruscino notes, scandal never touched Thome. “In an era when so many guys cheated, he never did," Bruscino said. Sheldon Ocker was the Beacon Journal’s long-time baseball writer, who also won his own place in the Cooperstown this weekend, getting the Baseball Writers Association’s J.G. Taylor Spink award. Ocker acknowledged he suffered through a lot of bad baseball. That made the breakout Indians teams of the ‘90s something special and he said three or four of the players on the powerful 1995 team deserve to join Thome in the hall. But he acknowledges Thome was something special. “He’s one of the nicest guys you’re ever going to find in baseball. And he’s a genuine person," Ocker said. For now, the nice guy is back home in Illinois, working in the White Sox front office. But he says rival Cleveland remains on track to do what his Indians couldn’t: Win a World Series.